WHOIS - The online archive of registered domains! WHOIS is an internet service and protocol that search and display information about a domain name from archives of domain registrars all around the world. With MonoVM's WHOIS search tool, we give you the ability to lookup any generic domain and find out detailed information about the domain. 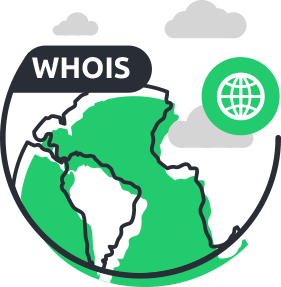 WHOIS provides detailed information such as registrar and contact information of the party that controls the domain. Use our privacy protection to keep this information from being misused by possible third parties. Do you own a domain name, and don’t want your personal information to be publicly available? Use MonoVM privacy protection to keep your information masked and replaced with our contact information. This service will help you prevent identity or information theft. This helps you to avoid telemarketing spam and share only the information that you want the public eye to see.